The Ministry of Defence has published a set of YouTube videos warning of the dangers of loose social networking lips. Aimed at military personnel and their friends and family, the videos warn that anyone could be tracking their status updates, including "the enemy". Harking back to wartime propaganda warning Brits that 'careless talk costs lives', the 21st century version warns that careless tweets, status updates and FourSquare check-ins could prove equally dangerous. New recruits will also be taught how to use social media safely so they don't give away their location or restricted information without realising. "It can be simple to collate information from various sources in order to build up a picture of who a person is. Similarly it might only take one careless comment, or posting a picture without checking what's in the background to put friends and colleagues at risk," reads the MOD site. 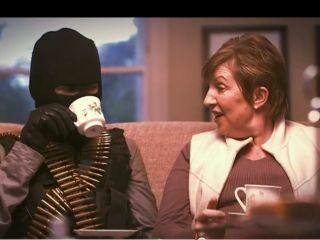 While 'Think before you share' is not quite as catchy as the '40s slogans the MoD hopes the YouTube message will curb social networking leaks, which have been known to happen.